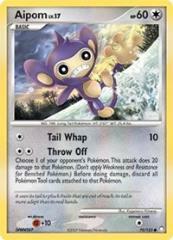 Attack 2:  Throw Off - Choose 1 of your opponent's Pokemon. This attack does 20 damage to that Pokemon. (Don't apply Weakness and Resistance for Benched Pokemon.) Before doing damage, discard all Pokemon Tool cards attached to that Pokemon.